A past sponsor described the Level Ground audience as "highly intelligent, thoughtful, and compassionate." Our sponsors are not only visibly recognized by our audience, they become part of our community! To learn more about sponsorship opportunities, email our Executive Director. 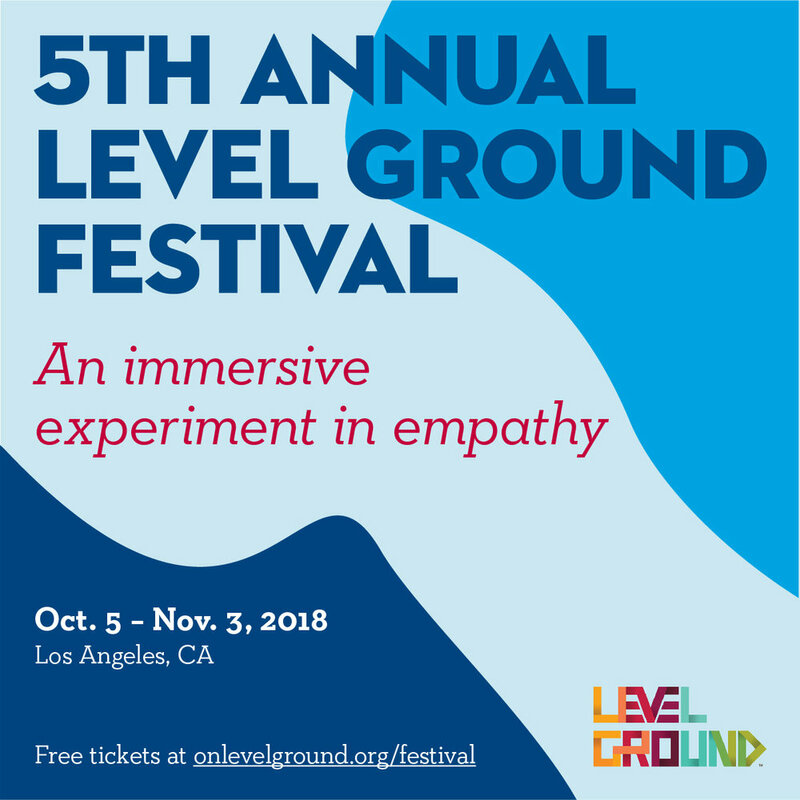 The Level Ground Festival is Los Angeles’ most diverse multi-genre festival, curated to provoke conversation and inspire cultural change. The 5th Annual Level Ground Festival is a five-night gallery showcase across Los Angeles. The festival features a stand-up comedy show, a film screening, and three gallery shows featuring female artists who are exploring themes of queer identity, relationships, and how society shapes and influences our bodies. Anticipated reach of 100,000 Angelenos interested in arts, culture, and identity. To learn more about custom sponsorship opportunities, please email our Executive Director.